In this listing is also a "Bow-Tie" bow maker. This is an older one -- it's made of wood, not plastic. 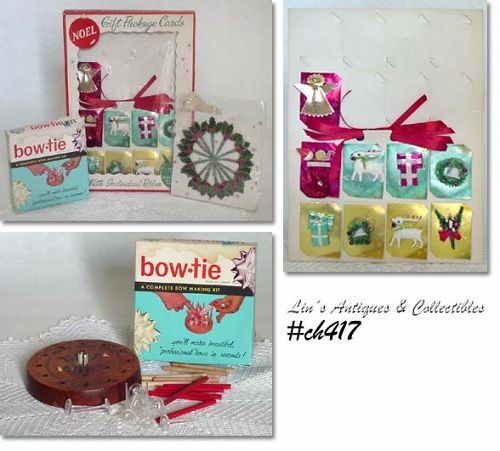 This is a nice assortment of items to complete your vintage Christmas package decorating!